It's the first week of new releases in 2018, so Nintendo Life has gathered today all the latest incoming games, demos and slices of DLC coming to Nintendo Switch, 3DS and Wii U in North America. This week, we've got another dip into the ACA Neo Geo vault; a selection of indies with racing, picture puzzles and dodgeball in mind; and who could forget Kirby and the new demo for Kirby Battle Royale on 3DS. 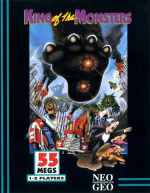 ACA Neo Geo King Of The Monsters (HAMSTER, $7.99) - With up to six giant monsters to choose from, battle other kaiju and cause wanton destruction across Japan in this Neo Geo classic. 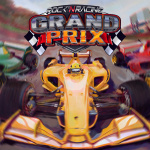 Grand Prix Rock 'N Racing (EnjoyUp Games, $7.99) - Race with up to three other friends, realistic physics, an isometric POV and lots of rock and/or roll. Pic-a-Pix Deluxe (Lightwood Games, $7.99) - This Switch version of this popular puzzle game includes 300 new conundrums, 2-4 player co-op and more. 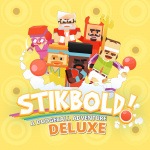 Stikbold! A Dodgeball Adventure DELUXE (Game Swing, $7.99) - This co-op adventure combines dodgeball,a '70s-style setting and a slew of crazy and colourful bosses. 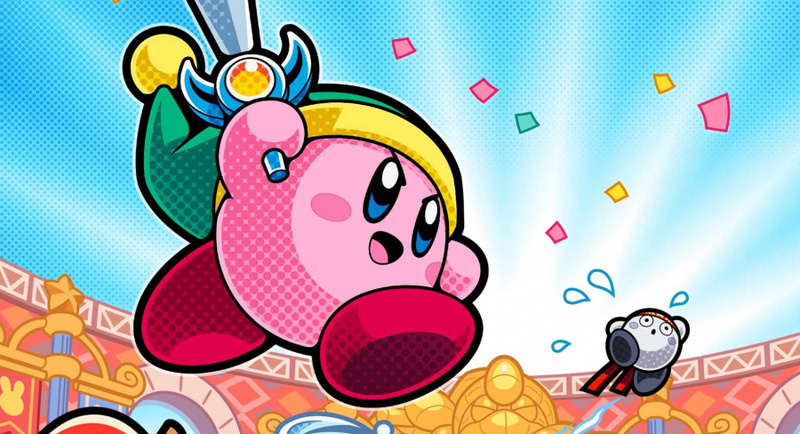 Kirby Battle Royale – Demo Version (HAL Laboratory, Free) - Compete against three friends (or AI, if you're perpetually lonely) and battle to see who is the greatest Kirby! The demo should give you a good taste for the mini-game silliness offered by this latest 3DS title. Bit quiet on the North American front this week, but expect the new releases, demos and DLC to flow come next Thursday. What are you guys playing this week? Let us know below! So many games. So that's why this took you so much time. Joking aside, January will be bland, both in USA and Europe. Let's just wait for better times and dig into the backlog. Wow, a dull week. THANK GOODNESS! Back to the games I was playing! This week is like a water break during a marathon, and man did I need the water (read: down week to catch up on the backlog). All in for King of the Monsters. I've been waiting months for it to hit Switch. Can't wait to finally have a good wrestling game on the system. Finally! Cool, I’ll try Kirby. Guess I’ll have to see whats on sale when I get home from work. Where are all the good games? You have nothing, zip, nada. Downloaded RIPTIDE for $5.00 last week. Playing that and DOOM right now. Keeping fingers crossed for a Nintendo Direct explosion next week. Just King of the Monsters for me. I never did buy Top Hunter though, might get that as well. The only thing I have recently grabbed is Oxenfree at that amazing discount. That is all I plan on buying are games on sale. Too much to play as it is. I can do my Switch back-log till monster hunter world. This weeks releases sure do stink worse than a NintendoLife clickbait article. Thankfully most of good stuff was releases on Xmas. No excuses either if you are playing Xenoblade 2 or ACA Neo Geo those past 3 weeks(thankfully I paid for those games, didn't steal them on illegal Emulator). Playing so much Enter the Gungeon anyway. Waiting on that direct for some great upcoming games. king of monsters for me. Back to beating up the backlog. BACK, I say BACK! But it's amazing how rarely I get to say that now. There's almost always something interesting being released on the eshop. A light week for sure. Sort of expected right after the holidays honestly. January is often a barren month for all forms of entertainment. This is like a Wii U week. Every week used to be peaceful and serene during the Wii U era. Eh, nothing on the Switch E-Shop and there was nothing on the Playstation 4 shop. Must be everyone trying to reap the money that's coming in, but it's all good to me, gives some time for newbies to the consoles and ones who have a backlog to catch up. Plus, sales have been excellent on both systems right now, so plenty on the sale side (haven't checked the Switch yet, but PS4's is massive). King of the Monsters shall be mine! An expected and necessary slow week. A lot of debit and credit cards are on cooldown after the big holiday boss fight. Back to the backlog with haste!! @Kentula a port of the arcade original was announced last moth then delayed. He isn’t talking about 4. KING of the MONSTERS! That’s it for me. Surely next week will be much better, especially if the Nintendo Direct happens. Nintendo has always done a great job of revealing eShop games available at the end of the presentation. Hmmmmmm no double dipping for me this week until Nintendo direct Hopefully January 11th like they said. Never thought I'd see the day the members here actually celebrate a slow week. It's a far cry from the Wii U era, that's for sure. Happy to see we got King of the Monsters as opposed to Art of Fighting 2 this week! It's a much better game in my book. King of the Monsters is clearly the highlight this week. 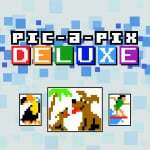 Pic a Pix is a picross game? King of the Monsters could be fun and I still need to get Floor Kids anyway. Good, the past month has been crazy, like 20+ games a week with severa each week being actually good games. Gives me time to play my Christmas games before MHW rolls out in a few weeks. Take your time, Nintendo, you’ve gotten a lot out recently. Back to a slow week again, hopefully Samurai Shodown II comes sooner. It is ok Romancing saga 2 is so addicting it took me away from my beloved Xenoblade 2. I'm glad it is slow. @sinalefa They have a demo for Pic-a-Pix available. Personally I didn't enjoy it, found it to be a somewhat cryptic version of paint by numbers. Still waiting for Double Dragon. Thanks I will try it then. This article is EXACTLY why Nintendo needs to announce a Direct and tell us what's coming up. We've been spoiled for months with all the releases but its been quiet for a while now. The holiday season is all but over now so it's time to look ahead with 2018. A weak week is fine by me- I have such a big Switch backlog right now and I've been (gasp, heresy!) playing on my PS4 lately. But I might be tempted by Pic-a-Pix once I finish Picross S.
I don't mind there not being much more this week. I have several games in the backlog still and I am not done exploring Alrest. Also kind of annoyed that Xenoblade got so few articles from you guys. BotW got about 37 a week for months but Xenoblade 2 got like... 4. No link to the stikbold review? And why put the Kirby demo simply under the "3DS shop" label instead of a dedicated separate "demo" label as this site has done for years? Did they mention the NBA Playgrounds got an update anywhere on the site recently ? Finally get a smaller size and 3 point contest with some other slight changes and fixes.